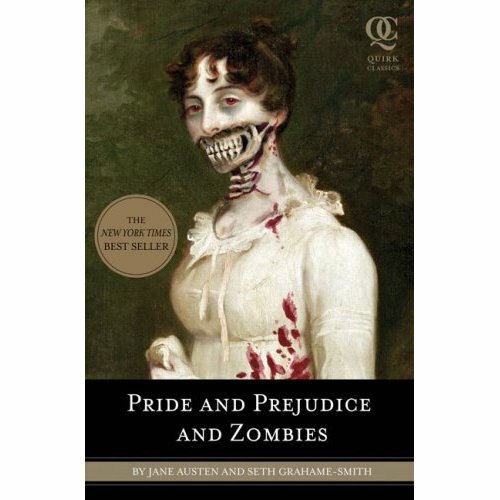 Have you guys read Pride and Prejudice and Zombies? If you haven’t, you probably should. First, because the Lit major inside of me looks down her nose at anyone who hasn’t read (& loved) Jane Austen’s classic. And second…zombies, you guys! The book is a lot of fun and surprisingly well written. The whole zomb-pocalypse angle isn’t just dropped into the plot of the book, it’s woven into the fibers of the story until you begin to wonder if this hadn’t really been Austen’s intention all along (it wasn’t). And apparently the idea of finding true love while hacking apart a few zombies in Regency period England is so compelling that not only is there a book, but there’s also going to be a movie! It’s been announced that Screen Gems has bought P&P&Z and there’s also a whole slew of stars attaching themselves to the project, most recently Game of Thrones‘ Lena Headey and Charles Dance. House of Lannister represent, ya’ll! Also slated to appear in the film are Lily Adams, Douglas Booth and Matt (bowties are cool) Smith. In a rather shocking side note, our beloved former Doctor will not be playing the romantic lead. According to imdb.com, Sam Riley will be playing Mr. Darcy, while Smith is cast as the annoying Mr. Collins. Which should prove the more comedic role, so maybe not terrible casting after all. The movie is set to be released next year. What with all the shuffling undead and the fancy dresses and parties, this movie could pretty much be retitled, “Kam, Give Us Your Money.” And I will, Screen Gems. I will.